Knowledge of a language is the key to effective communication, but in order to open the doors between different countries and to permit an intercultural dialogue, this is not the only skill that is needed. Below are a few examples of how we can help your company in international communication. Keep in mind that all of our services are flexible, which means that they are adapted according to the needs of your company. Private classes can be on an individual basis or in groups of up to 4 students, and groups of up to 12 students are possible at your company's location, in the student's home, or even online. 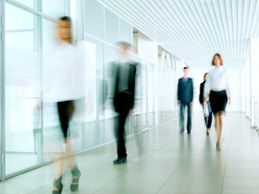 We are also available for you and your team at convenient locations near your company. 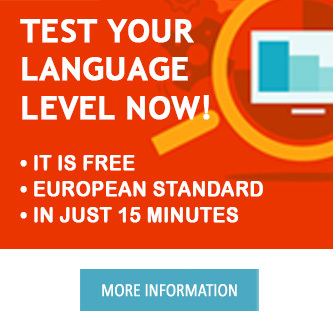 Would you and your team like to master a language? We offer classes and courses for all levels and objectives, with a focus on training employees and administrators, taking into account the great importance of communication in business. Our Cross-cultural trainers will help your expatriates to better adapt to a new country and a new culture. This training takes place during one to three full days and it is very useful not only at business level, but it is also key to make an international assignment a success, as the main reason for international assignment failure is the inability of the family to adapt to the new destination. Our trainers are fully trained in Cross-cultural education, come from the private sector and have several years of experience abroad. A personal coach will help your brush up on and hone your language skills in the area that you need. The process of coaching aims to work the specific vocabulary of a certain topic and carry out cooperative training exercises in common situations at work. This way you and your team will be more confident when communicating with customers or clients, traveling abroad, conducting business or giving presentations, and even on vacation. We offer recruitment and selection services for hiring qualified, multilingual professionals for various purposes according to the needs of your company. We have an extensive database of qualified CVs. Our main focus is on the areas of marketing, events and fairs, whenever service in a foreign language is needed. We design and develop user-friendly Web applications to optimize Language Business Processes. As specialists in language training, we know the needs and the needs of the target audience and we create web solutions at fair prices with the support of experienced web developers and UX designers. In addition to the use of modern technologies, we offer an extensive support to ensure smooth functionality of the web app.